Our school will be open to the public on SATURDAY MAY 27th. 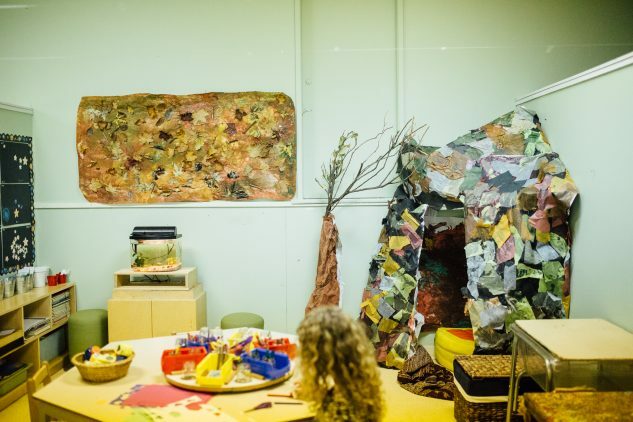 We will be open from 10 am to 12 noon for visitors to come visit our wonderful preschool. Speak to the enrolment coordinator as well as current families. Children, grandparents, aunts, and any other relatives are also welcome! The public is invited to come visit our preschool for our open house on Saturday, March 4, 2017. 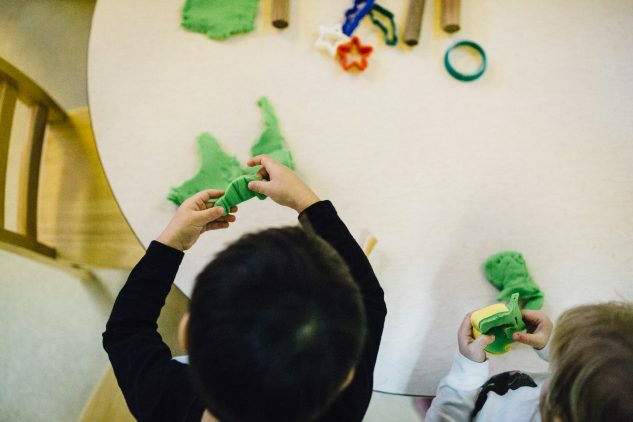 Come see what our preschool facilities are like and talk to current families and the enrollment coordinator about how your child can join our wonderful school. We will be accepting registration and deposits for September 2017. We hope to see you here! 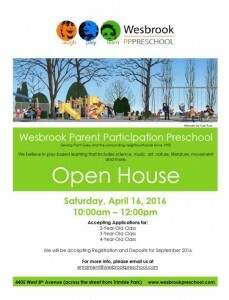 Come join us for our Spring OPEN HOUSE at Wesbrook Parent Participation Preschool. We are accepting applications for September 2016 start for the 2-year-old class, 3-year-old class, and 4-year-old class. 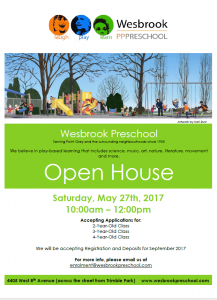 For more information, please email us at enrolment@wesbrookpreschool.com.